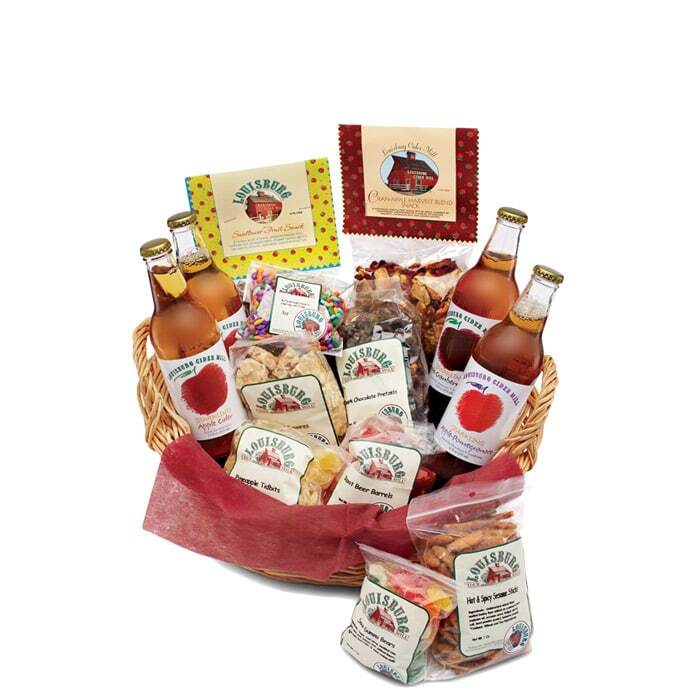 This natural willow basket is filled with 1 bottles of Sparkling Apple Cider and one bottle each of Sparkling Apple-Cranberry and Sparkling Apple-Pomegranate. We include our Louisburg Sunflower Fruit Snack and Cran-Apple Harvest Blend Snack, as well as a whole array of other sumptuous, ready-to-eat snacks and sweets. We select the season’s most delectable treats for your basket. Be happily surprised, or call for this season’s choices.